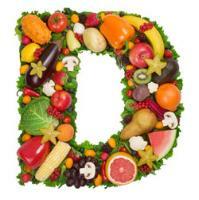 Vitamin D is important for bone and muscle development, function and preservation. For this reason it is a vital component in the maintenance of bone strength and in the prevention of falls and osteoporotic fractures. The objective of this statement, published in the leading bone journal, Osteoporosis International (OI DOI 10 1007/s00198-010-1285-3), was to use and examine all available evidence to support new recommendations for optimal vitamin D status. The best available clinical indicator of vitamin D status is serum 25OHD and vitamin D intake and effective sun exposure are the major determinants of this level. Serum 25OHD levels decline with ageing but the response to vitamin D3 supplementation is not affected by age or by usual calcium dietary intake. Preventing vitamin D deficiency has a major impact on falls and osteoporotic fractures. Vitamin D deficiency is associated with decreased muscle strength in older men and women and supplementation improves lower limb strength and reduces risk of falling. Vitamin D affects fracture risk through its effect on bone metabolism and on falls risk. * The estimated average vitamin D requirement of older adults to reach a serum 25OHD level of 75 nmol/l (30ng/ml) is 20 to 25 µg/day (800 to 1000 IU/day). * Intakes may need to increase to as much as 50 µg(2000IU) per day in individuals who are obese, have osteoporosis, limited sun exposure (e.g. housebound or institutionalised), or have malabsorption. * For high risk individuals it is recommended to measure serum 25OHD levels and treat if deficient.